Dhaka, Jan 9 (Just News): The overall situation of the cold wave, sweeping over parts of the country over the last few days, is gradually improving as the temperature across the country rose by 1-2 degrees Celsius on Tuesday. 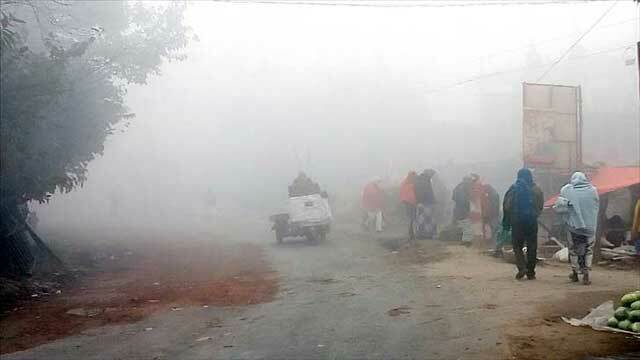 The lowest temperature of 4.8 degree Celsius was recorded in Dinajpur district in the morning a day after the country experienced record lowest temperature of 2.6 degrees in Tetulia of Panchagarh. Besides, Met office today recorded 5.2 degree Celsius in Chuadanga and Panchagarh districts. Severe cold wave is sweeping over Rangpur and Rajshahi divisions and the regions of Gopalgonj, Satkhira, Jessore and Kushtia while mild to moderate cold wave is blowing over Mymensingh and Barisal divisions and the remaining parts of Dhaka & Khulna divisions and the regions of Srimangal, Comilla, Chittagong and Noakhali. The current cold wave condition is likely to continue as mild to moderate cold wave, said Met office. Night and day temperature may rise by (1-2)&deg;C over the country. The northern regions of Bangladesh have been bearing the brunt of the cold waves over the last few days. Poor people, particularly the farmers and rickshaw-pullers, have been suffering badly due to the shiveringcold. Children and elderly people have been the worst victims. Meanwhile, the highest temperature has been recorded 25.5 degrees in Teknaf of Cox's Bazar district.